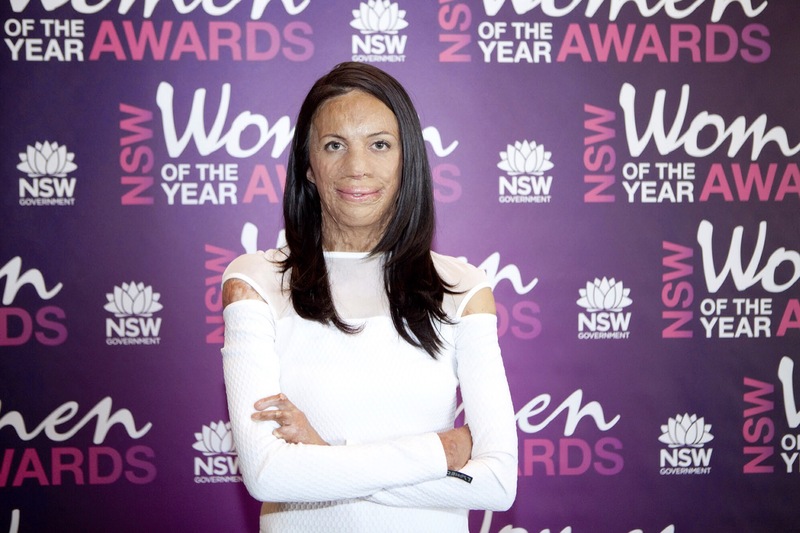 Tune into Radio Carly: Appearance diversity: Turia Pitt tells her story. 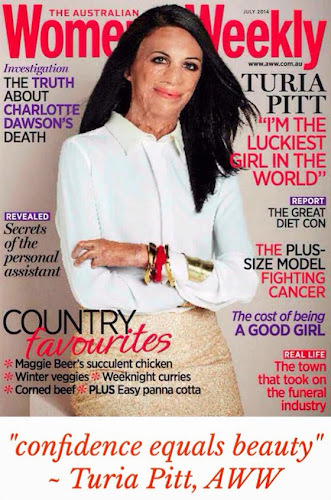 Last week Australian Women's Weekly released their July issue featuring Turia Pitt, burns survivor, on the cover. I wrote about that here, and it was republished on Daily Life. Since then, Turia and I have been in touch on Twitter and she agreed to share her story here as part of the Appearance Diversity series. I know how busy she is with surgery, speaking, charity and media commitments, so I'm so appreciative of her for writing this guest post. "If you don’t have a problem with it, they won’t." Turia works tirelessly raising money and awareness for Interplast - a charity that provides reconstructive surgery to underprivileged people. She recently climbed the Great Wall of China, and she's written a little about that here. "At the start, my self esteem was significantly affected. Before my accident I used to walk around with confidence and a lot of self-belief. All of that was ripped away from me when I was trapped in a grass fire during the 2011 Kimberly Ultra Marathon – receiving burns to 65% of my total body surface area. It’s taken years (this September will mark the third anniversary) but I’m finally at the point where I was before the fire. My life has changed dramatically. Before the fire my partner and I lived up north and I was an engineer working on the mines. Now we live on the South Coast and I am a motivational speaker. I’ve lost independence, most of my fingers and my appearance is completely altered. Some things have stayed constant though: my wonderful partner, my beautiful family and my incredible mates. Beauty is: standing up straight, having confidence, looking people in the eye and having the ability to look in the mirror and think, “Yep, I look damn fine today”. It’s an absolute honour to be asked to be the cover girl for Australia’s highest circulating magazine. For that, I’m incredibly grateful. 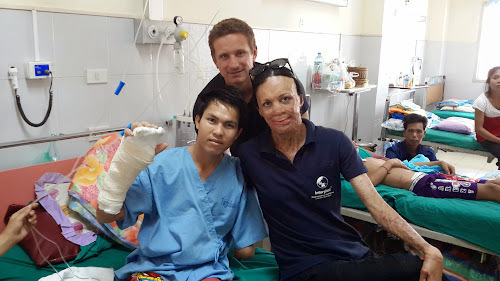 Interplast provides free reconstructive surgery to people in developing countries. So they could perform surgery on people with cleft palate, women who are victims of an acid attack or even other burn survivors. My plastic surgeon also volunteers for Interplast on an annual basis, so you can understand why I feel so close to the cause! I’ve just returned from trekking the Great Wall of China with a group of 20 extraordinary women. Our group raised close to $200,000 which is a phenomenal effort for this inaugural event. 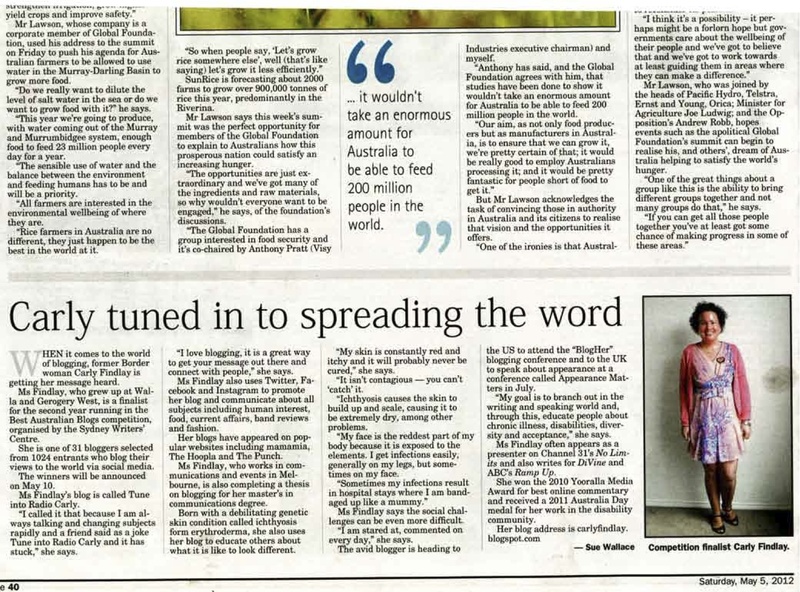 Next year we will be taking on the Inca Trek and we hope to raise even more for this worthy organisation. While I was in hospital I couldn’t do anything for myself. I couldn’t feed myself, I couldn’t brush my hair and I couldn’t even take myself to the bathroom. Depression sunk in because I was an ultra-athlete and now I couldn’t even walk a single step. I realised that to get through this I would have to readjust my goals – I would have to be content with achieving the little things. Taking a single step. Climbing a stair. Raising my arms." The part about having to adjust your goals really struck a chord with me. Major health/life events force you to change your goals, everything is different but that eventually becomes the new normal. I love Turia's quote at the end of her email. Small achievable goals really do make big things happen. An amazing and inspiring woman. And I'm so happy that she was on the WW cover. It sparked conversation between my Miss 6 and Miss 8, which is a conversation we should all have with our children. Often. What a gorgeous lady - inside and out. Love her enthusiasm for life and her message. That quote is awesome too. Thanks for sharing Carly.